Your website is often the first experience a person will have with your business. What are you saying in that first encounter to gain their interest and trust in your product or service? In answering this question, it becomes apparent that your web content is as important as your web design. DDS associate writers and content specialists will work with you to ensure that your website tells your story clearly, effectively and in a compelling fashion. 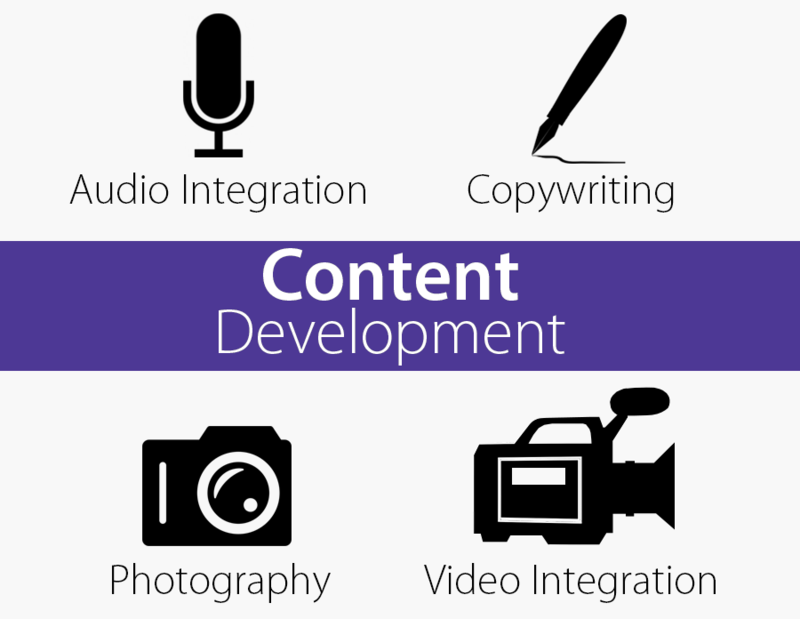 We provide a range of content services to accommodate your specific needs—whether your website requires full-service content development, copywriting and editing, or just a little refreshing of existing content. We help your business succeed online through written and visual content that raises your brand awareness. We work with you to highlight your capabilities and increase the perceived value of your products and services. DDS Web Design helps clients develop creative solutions that connect with their visitors. We work with you to ensure your message efficiently promotes the value of relationships with your company. Contact Us to learn how we can assist you with your online marketing, events marketing, fundraising, and special campaigns needs. The Internet provides a tremendous opportunity to present your company brand in a variety of formats including photos, audio and video. Your website gives you the ability to market your products and services 24/7, and can provide a wider range of visitor contact points over traditional forms of advertising. DDS Web Design works with a diversified team of partners that can communicate your company message through professional photography and video production services. Have an idea for a product showcase or company introduction? Contact Us to learn how we can make it happen.